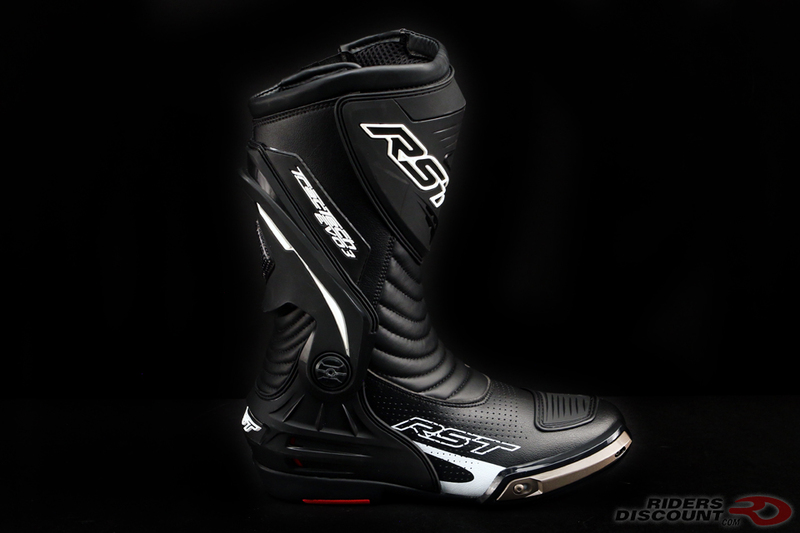 The new RST TracTech Evo III Sport Boot features a redesigned shin plate and enlarged toe-box for better impact protection. 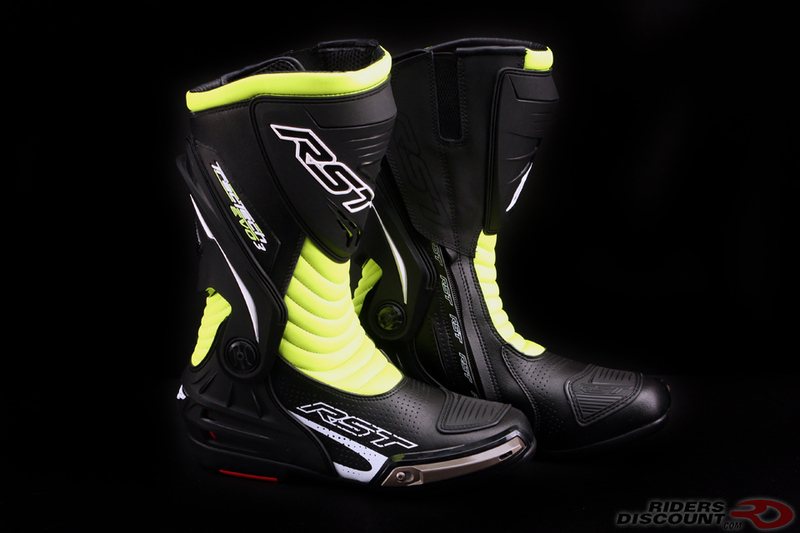 Made of cowhide and PU Coated Micro-Tech, the TracTech Evo III is both comfortable and durable. 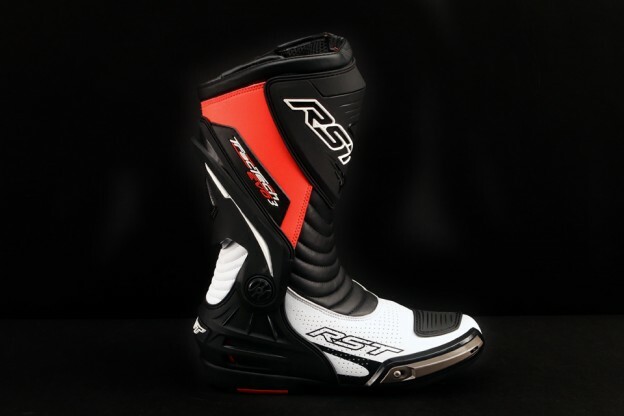 The shin plate, heel cockpit, and ankle support are made up of thermoplastic polyurethane (TPU) to provide protection and support in the case of a crash. 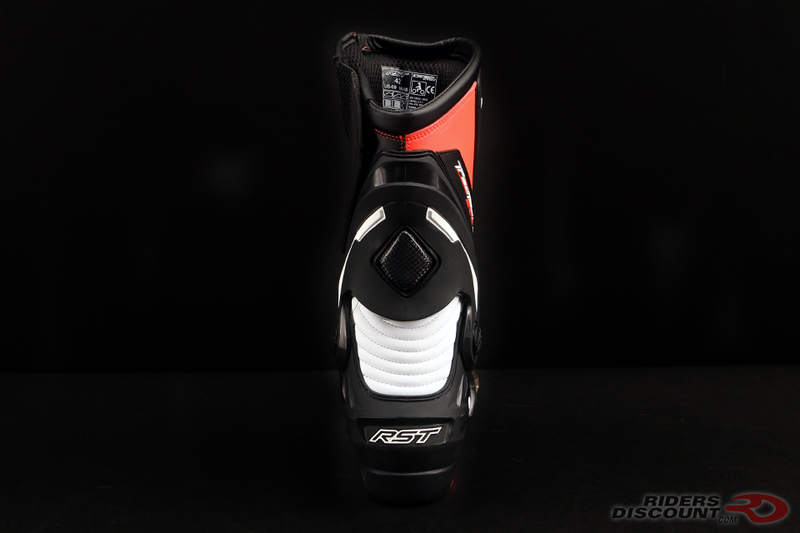 The toe slider on the TracTech Evo III is replaceable. 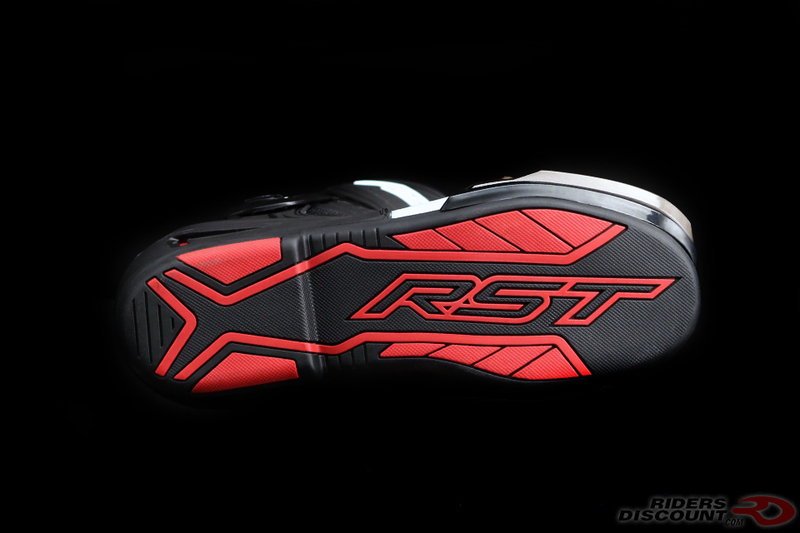 An anti-slip multi-density sole provides excellent grip and feel. 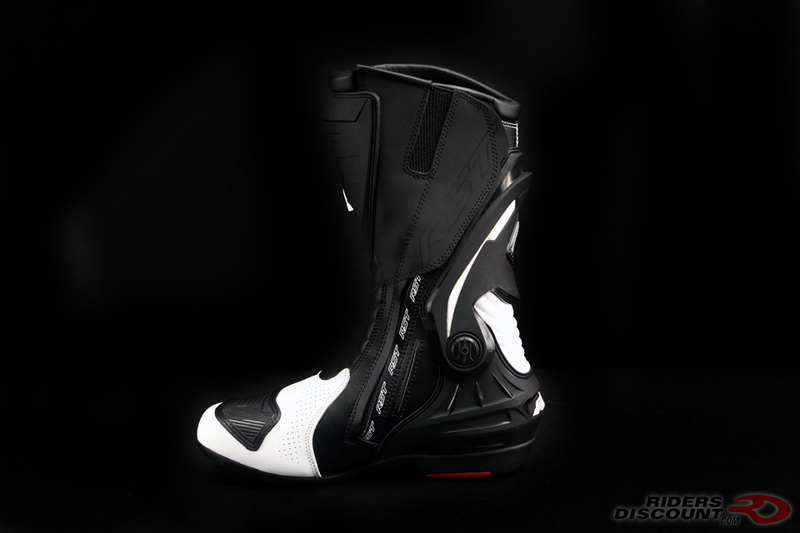 This boot is equipped with a zipper and a Velcro closure to ensure the boot stays put during use. Inside of the boot is an anti-microbial liner and sole that wicks sweat, keeping feet cool and dry.